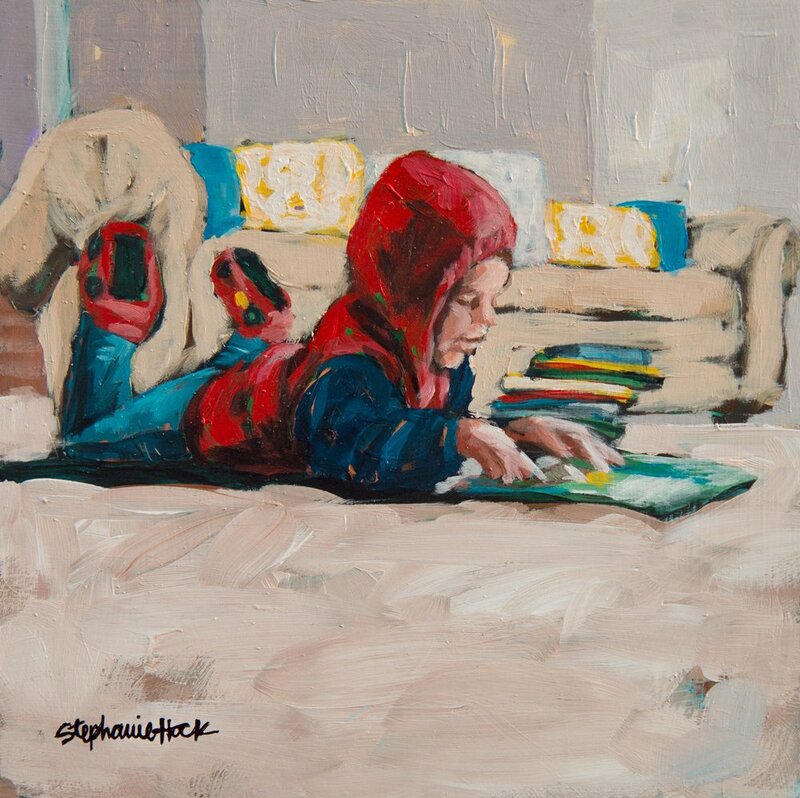 ["A Boy and His Books" 8x8, available] Today is the last day to see both my solo show at @artaccessgallery and the @zionartsociety exhibit at @anthonysfineart! Art Access closes at 5, but Anthony's will be open late for a discussion with @jeff_hein_art at 7. Fun things to do downtown!